Yesterday I received Diane Fitzgerald's new book. As I flipped through the pages I will admit I was a bit surprised that the projects were all that I have seen before. What???? Then as I started to inspect the book I was thrilled to see these early projects of Diane's. Almost all of them I recgonized from other publications. 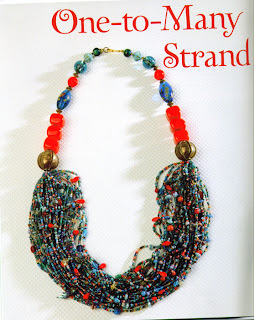 What a brilliant idea to show new beaders where she began some 20 years ago. The hard bound, 127 page book is beautifully crafted. The photographs by, Lynne Harty are excellent in placement and compostion. I also like very much how Diane tells her storys through text and beading. She is very gracious and brings to the book a very personal side. 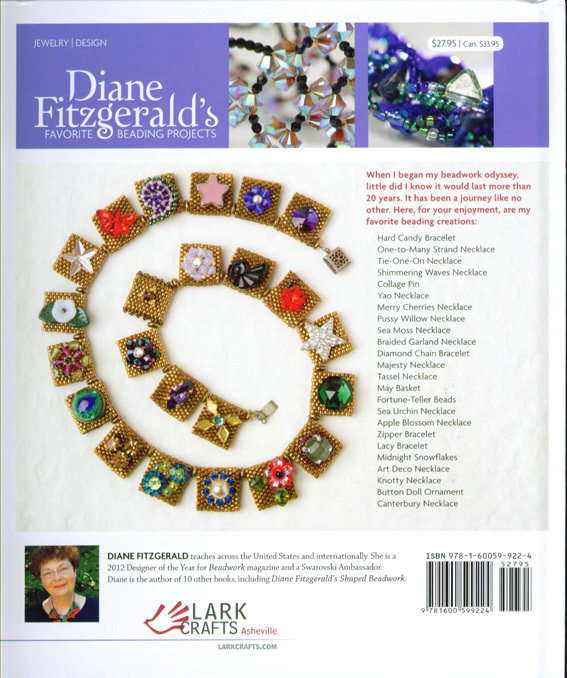 Diane is one of the leading contributors to the beading world and has always taken her art a step beyond the norm. 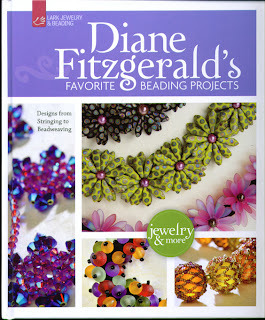 This book truly shows her beginnings and how she has grown over the years sharing and giving to the beading community. 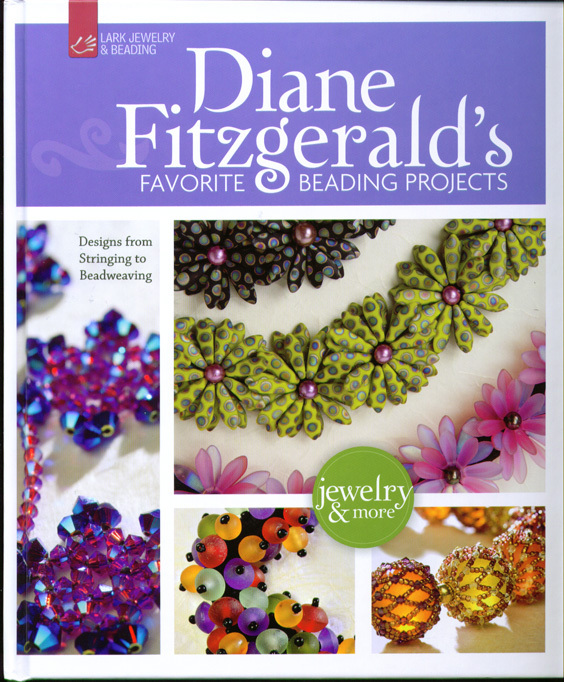 Now if you would like a chance to win this and one other of Diane's book click here. What an exciting book for you to have! I know you will have many hours of pleasure reading and trying new ideas.